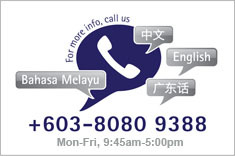 Please call us during office hour at +603-8080 9388 to get the latest pricing. Gold is traded Monday to Friday, 9:45am-4:30pm only. Initial RM10,000 or 20% deposit (whichever higher) is required for price locking on item above RM10,000. Special bulk order, call us now! The above quoted is for per piece price, with minimum purchase of 5 pcs or more Asahi 100 oz Silver Bar. 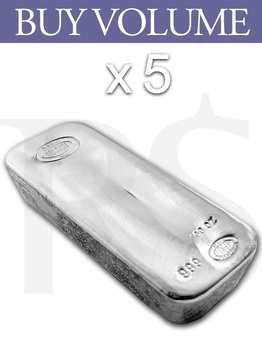 * This silver bullion is traded Monday to Friday, 9:45am - 4:30pm only. Here is the first look of classic 100 oz Asahi silver bar, replacing Johnson Matthey (with history of more than 200 years). You may have noticed that this bar looks strikingly similar to the classic 100 oz Johnson Matthey bar, and the reason is that Asahi Holdings, Inc officially purchased Johnson Matthey's precious metals refineries in Salt Lake City (Utah) and Brampton (Ontario) in March of 2015. The former Johnson Matthey refineries now operate as Asahi Refining and it appears as if Asahi is using the same 100 oz silver bar molds as the Johnson Matthey brand 100 oz silver bars, now stamping these bars with their own Asahi Assayers Refiners SLC hallmark. Also stamped on the front of these silver bars is "999", "100 oz", and an Asahi Assay Office stamp guaranteeing the weight and fineness. 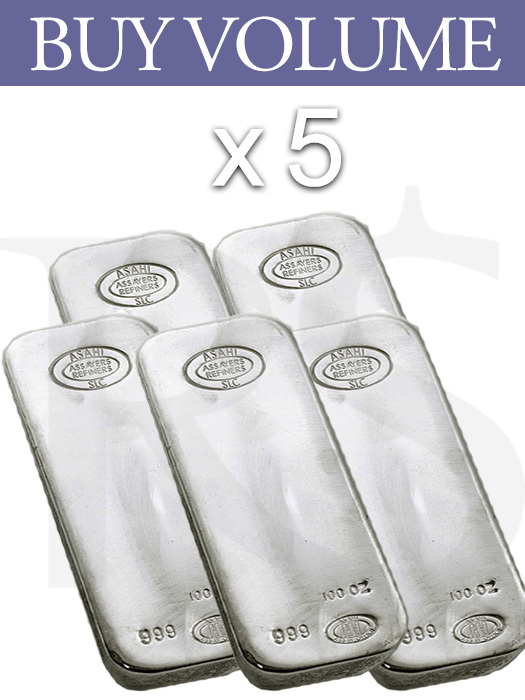 This Asahi cast bar is one of the most sought after investment silver bar in the world and accredited by both the COMEX and LBMA, these "good delivery" 100 oz bars available for ordering via Buy Volume. Rest assured Asahi Bars will become the world’s most widely recognized and secure investment instruments and universally recognized hallmark assures almost instant liquidity throughout the world.